Jan 30, 2018 – Since the publication of the first edition of The Woman’s Study Bible, over 1.5 million copies have been sold. 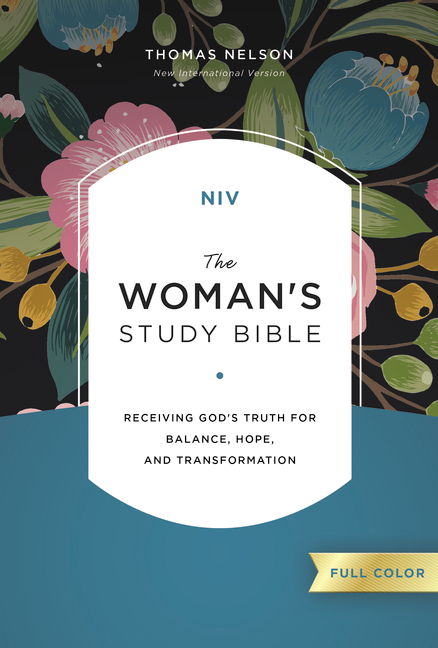 Now The Woman’s Study Bible is available in a beautiful full-color redesign in the NIV translation, inviting women to receive God’s truth for balance, hope, and transformation. The Woman’s Study Bible reflects the contributions of over 80 women from a wide variety of ethnic, denominational, educational, and occupational backgrounds.